This week! All walk, no talk. 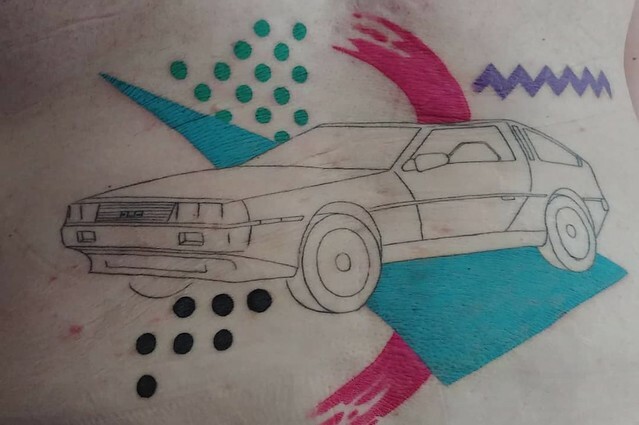 Here are some photos of the results of the latest tattoo session. 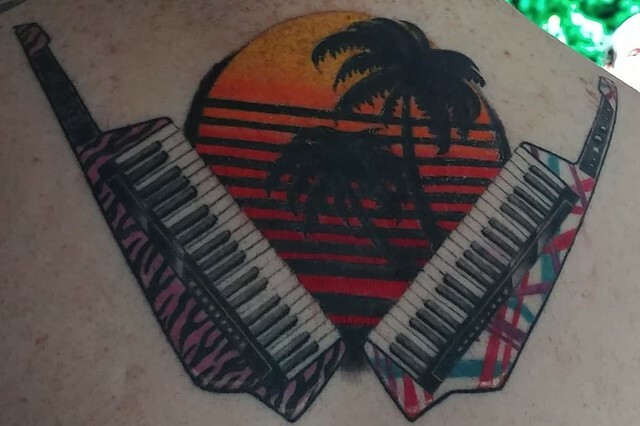 Sun colored in between the keytars, shapes added and colored in around the DeLorean.